Sometimes you just have a craving for something different. I was craving Shrimp and Grits. Odd?? For me it was as I’m not a huge fan of grits. Well that’s any other type of grits other than cheese grits because I’m a huge cheese head. So I searched the internet for a recipe for cheese grits and found Alton Brown’s that had a 5 star rating. I used his recipe as a guide but added 4 times the amount of cheese *hangs head* and added a few more spices cause as a West Indian we need more than just salt and pepper. It was out of this world!!!!! We all gobbled it up. As for the shrimp, I fried it the in pancetta grease then finished it off with butter and the crispy pancetta bits. Boy oh boy was it ever so tasty. There was a little part of me that knew I shouldn’t be eating this butter and cheese laden dish but I ignored every bit of it. I know this is a bit different from what I usually share on my blog, but I cook all types of foods on a daily basis. If you follow me on Instagram at Jehancancook you will see the different meals that I prepare when I’m not blogging. Why limit oneself? I’ve lived in the South for the past 3 years where Shrimp and Grits is hugely popular and I’ve adapted a few of the dishes, this being one. Give it a try, you won’t regret it. Until next time! Place milk, water and salt in a heavy bottom saucepan over medium heat. Bring to a boil. When milk is boiling, gradually add the cornmeal while whisking to prevent it from forming lumps. Add garlic powder and cayenne pepper and stir to combine. Next turn the heat down to low and cover. Cook for 20-25 minutes, stirring every 3 minutes to prevent lumps (make sure to stir in the corners also). When grits are thick and creamy, remove from heat and add butter and black pepper. 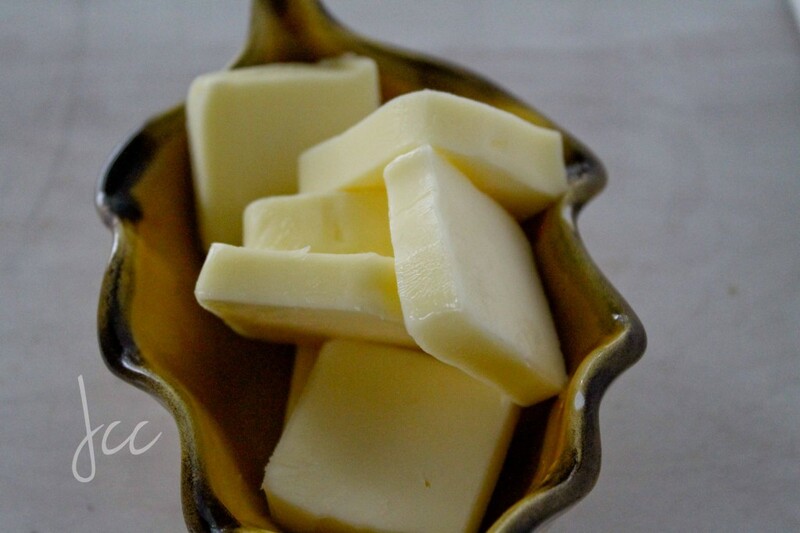 Once butter is incorporated, add the cheese and mix until melted. Serve immediately. Place shrimp in a large bowl with lemon juice and allow to sit for 3 minutes. Rinse, then add thyme, red pepper flakes, crushed garlic, salt and scallion then set aside. In frying pan add pancetta (or bacon) and cook over medium heat until brown and crispy. Use a slotted spoon to remove the pancetta from the pan making sure to leave the drippings behind. If using fatty bacon, remove all but 1 tablespoon of bacon grease. Set pancetta aside. Add shrimp to the frying pan and stir fry for 3-5 minutes until it is pink. Add butter and cook for an additional 2 minutes. Remove from heat then garnish with parsley. Serve over the warm grits. 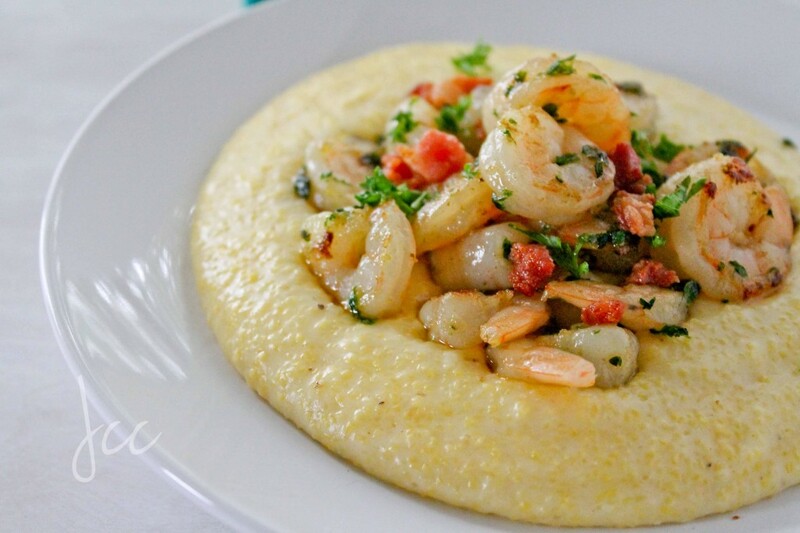 I have always wanted to make shrimp and grits. I think I finally will. This looks fantastic! Jocelyn, it was delish! You should go for it! HEY, thanks! we are on our way #mancatching i gotta cook for someone on a special diet this is perfect.! The other man i am cooking for is my dad. just for clarification. Lol. he needs low salt corn based diet. You’re going to get all of the Southerners with this one…including us. Ever tried it with lobster or crab? So good! Life is too short to never eat butter and cheese. Looks wonderful. I’m now dabbling in the world of grit and I can imagine how great lobster or crab would be! Thank you Laura, I agree with you 100%. I believe in eating everything…in moderation! As always your presentation makes my mouth water. I really want to try this dish but is there something you can recommend to substitute the unique taste of the pancetta with because I don’t eat anything four legged or should I just omit it and used canola oil. Thanks Dada, Hmm…yeah I would just omit the pancetta altogether, don’t think anything can substitute and yes just use about 1 tbsp of canola oil in place. Yes, you have to season the grits. 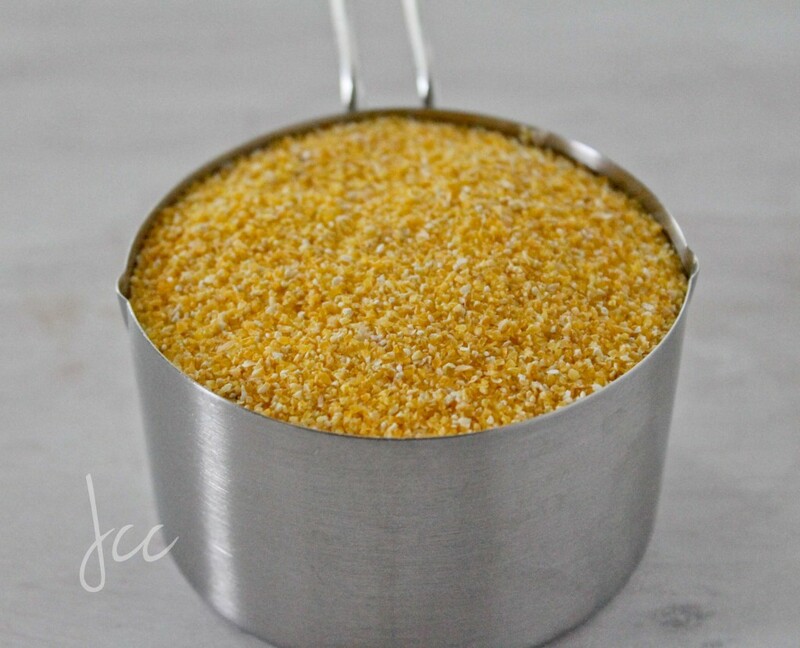 Every time I eat grits or polenta out I roll my eyes as it has no taste/seasonings. My husband just laughs at my West Indianess, (is that a word?). LOL Yvonne, salt and pepper just doesn’t do it for us West Indians. We are used to eating well seasoned foods so anything else is very bland to us. 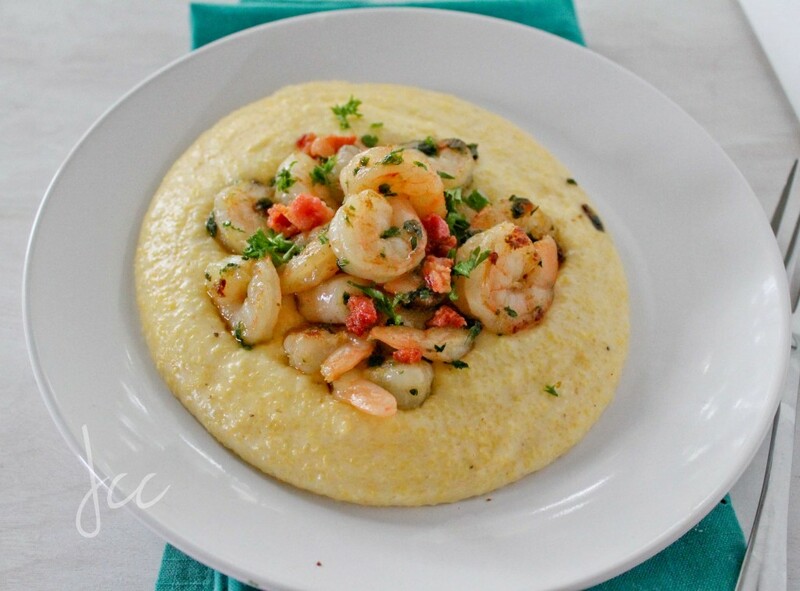 Love shrimp and grits, in fact I made them for my family last Friday for dinner. I’ll have to give your version a try. Your plate looks delicious. OH. MY. GOSH. I’m not much of a cooker but I love to follow a good recipe and I will be trying this. I’m new to grits but was really pleased with the results. 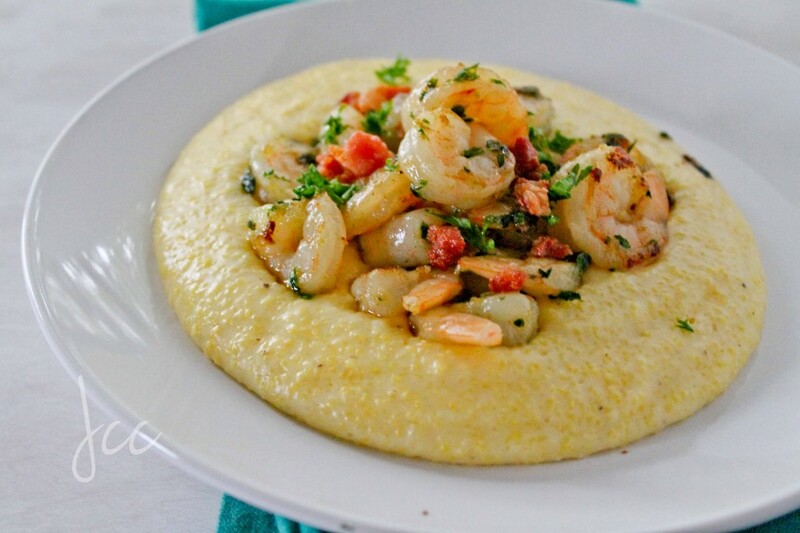 Shrimp and Grits is so on my to try list……It looks good!